This is the first in my “Seasons” series representing four seasons of womanhood. Springtime (primavera) is represented by the maiden on the verge of menarche and the beginning of womanhood. Her arms are decorated and blessed by henna, the basket represents bounty. Woven into the henna is the symbol “Sankofa” which represents wisdom and reaching to the past to gain insight and build the future. 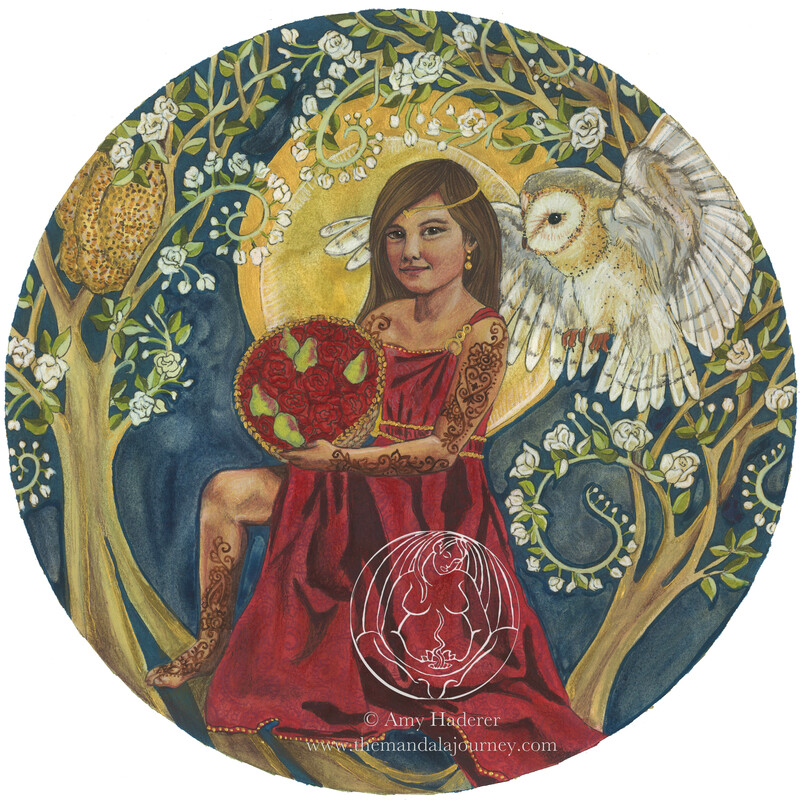 The owl signifies the ancestral wisdom of womanhood whispering in her ear. The beehive signifies the community of woman she is being birthed into.